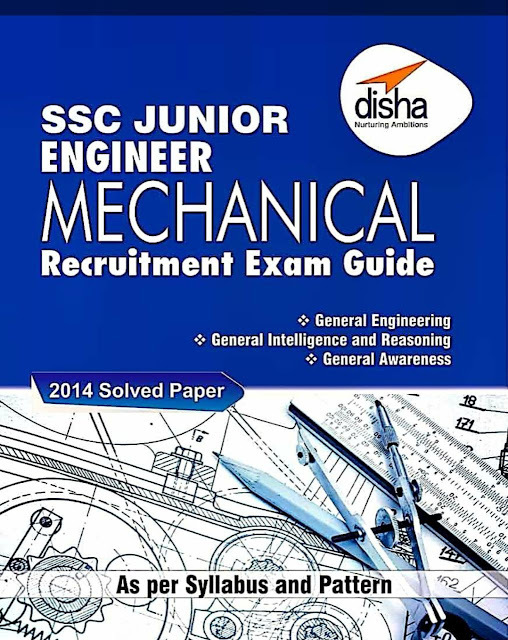 Today we are sharing 'SSC Junior Engineering - Mechanical Engineering Recruitment Exam Guide' by Disha Publications This is an important book prepared especially for for SSC JE Mechanical Engineering exam. The pdf book covers all sections of the JE examination including Mechanical subject also. It makes your preparation even easier. Hope the candidates will really get benefited from the book. In every part, the book contains basic theory about the topic, exercise in the form of objective bits and detalliled explanation for the exercise questions. Each topic is very clearly explained. Really a best match for the SSC JE examinations..All the best.